AKC Breeder of Merit - Chinooks since 1995! Tasha & Sweetie photos & remembrances courtesy of Paul and Mary Ellen Therriault, Glendon's Racing Kennel, Oxford, ME. Previously published 2003, copyright 2017 Intervale Chinooks. 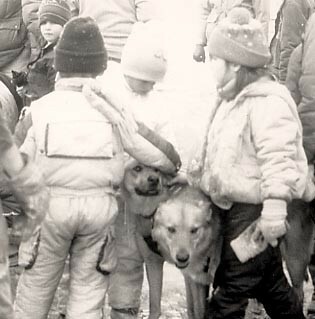 In the late 1980's, Glendon's Racing Kennel worked with Northdown Chinook Kennel to introduce two Chinook-cross lines - one out of Glendon's Tasha, the other out of Glendon's Sweetie. This is their story. Sweetie's name says it all! 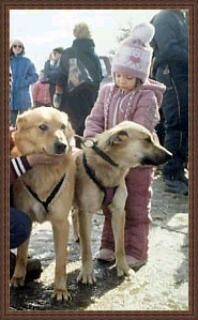 Paul recalls that Sweetie was very affectionate and great with kids. She looked much like a heavy boned tawny Chinook. 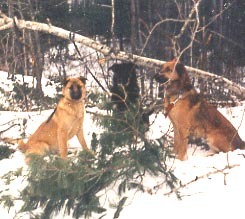 Sweetie's dam, Kyra, was a purebred German Shepherd, and her sire, Max, was a black and tan mixed breed who resembled German Shepherd, Lab, and Husky. 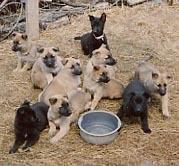 Tawny coat with black facial markings were common characteristics among Sweetie's family members, while other family members were coal black, including Sweetie's sister Black Beauty. No Chinook blood in this generation. 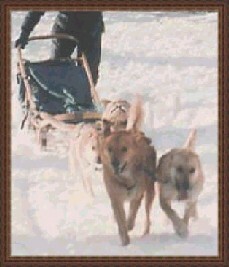 Sweetie was a super sled dog - she ran with Chinook teams and was an excellent gee-haw leader. 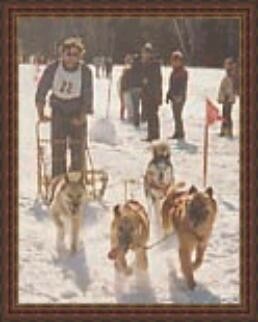 At just 11 months of age, Sweetie led her team in the grueling Sandwich Notch 60 mile race in New Hampshire. Team members included Chinook Benjamin's Tekoa ("Toes"), his ½ brother Yokayo Mckinley (Cassie's littermate), Sweetie's sire Max, Max's tawny sister Blaze, and an Alaskan named Peaches. With Sweetie and Blaze in the lead, the team placed in the top third out of about 40 teams entered. Chinook-like but still no Chinook blood. Sweetie also ran lead in a 200 mile mushing fundraiser, The Chinook Trek for Life, a benefit to raise funds and awareness for the Maine Kidney Foundation. Several Chinooks, including Benjamin's Tekoa, Alder Patch Tekla, Victor's Nikiska, Singing Woods Muskeg, and Yokayo Mckinley, ran on this team. 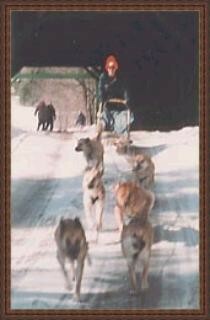 Though Sweetie, Tasha, and Timba are gone, they continue to leave their mark on the Chinook Breed. These late great ladies of the Chinook world have progeny in Chinook breeding programs today and, their legacy continues forward. Chinook Dog History, Arthur Walden, Wonalancet and More! 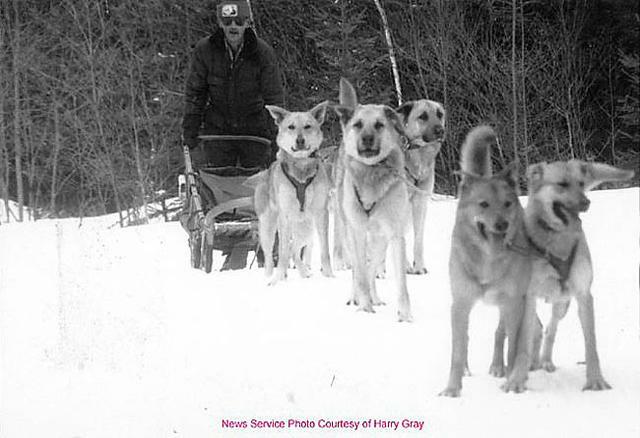 Sweetie had type plus the sledding instinct that Glendon's and Northdown felt could infuse new vigor into the Chinook breed.